Want it by Friday 26th April? Order within 8 hours, 37 minutes and choose Special Delivery 24 Hour Delivery (Signature Required) at checkout. Since 1923 generations of the Royal Family have chosen precious Welsh gold to create their wedding rings, a tradition that Clogau shares. For over 25 years we have been creating the most beautiful wedding jewellery containing rare Welsh gold - the gold of Royalty. Elegantly handcrafted and featuring a classic unisex design, this 3mm wedding ring from The Windsor collectionandreg; has been crafted in 9ct yellow gold. 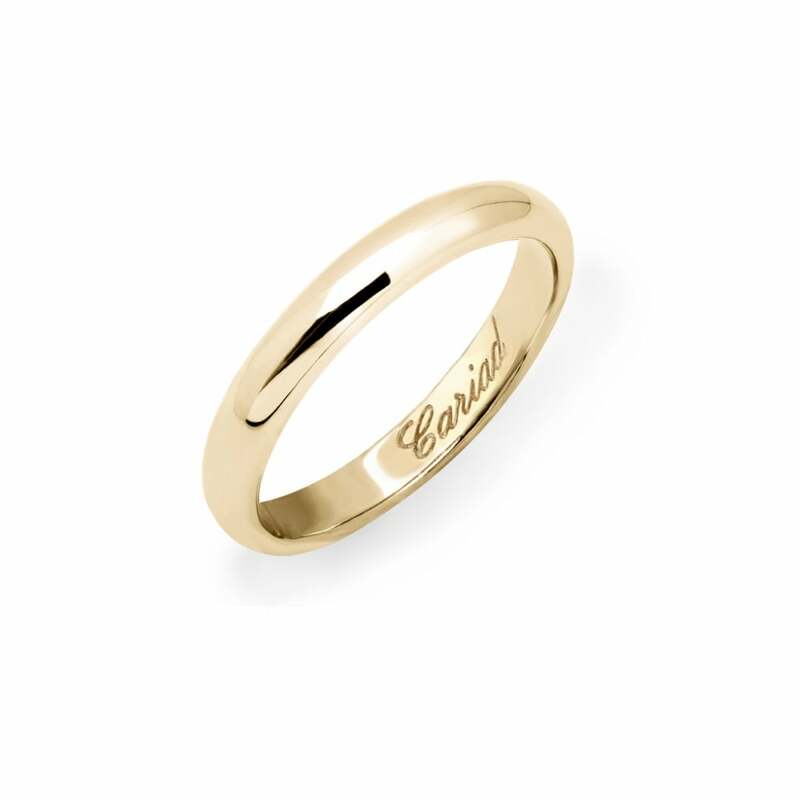 Inscribed on the inside of the band is the Welsh word 'Cariad', meaning beloved, sweetheart or darling in a beautiful italic script. Contained within the solid yellow gold is rare Welsh gold, making this a truly unique piece of jewellery than can be treasured and admired forever.